This week marks a new stage in the development of World of Cruising, the UK’s longest-established magazine devoted to cruise ships and luxury travel. The publication goes on retail sale at newsagents throughout the country for the first time in its 17-year history. The magazine originally operated as an in-house journal for a specialist travel agency and was distributed to the company’s customers. After being acquired in 2013 by Real Response Media, its frequency was increased from quarterly to bi-monthly and its audited circulation is now in excess of 20,000 copies per issue. It is now distributing 30,000 through various channels – well on its way to a target of 40,000 by January 2016. Distribution has been extended to selected hotels, airport lounges, and sports clubs. Further steady growth in sales is expected now the magazine is on the newsstand. Earlier this year, Real Response Media also acquired the specialist trade titles Cruise Trade News and Cruise Ports & Destinations, whose frequency, pagination, and circulation have been increased under the new ownership. World of Cruising costs £4.95 per copy. A one-year subscription costs £28 and includes our indispensable annual Cruise Planner. 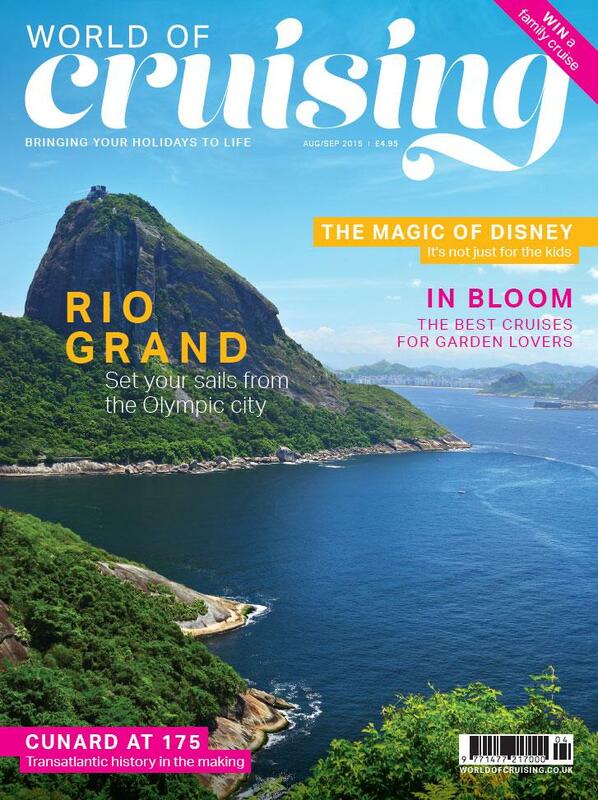 Subjects featured in the first issue on retail sale include the Top 10 Garden Cruises, Cunard’s 175th Anniversary, a look at the cuisine on Viking’s new ocean ship, and reviews of cruises aboard P&O’s Arcadia, Golden Princess, Royal Clipper, and the river ship A-Rosa Flora. Regular features include World of Spas, edited by Jo Foley, and destination specials, this issue focussing on three ports in the Far East. There’s also an opportunity to win a family cruise for four people on Carnival Vista, making its debut in the Mediterranean next year.